The American Civil War represents a pivotal and deeply emotional time in our nation’s history. 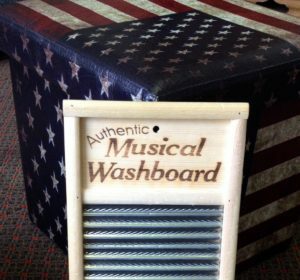 Music about the era reflects the strong emotions that divided the nation and the people within it, both North and South. Songs tell heroic deeds done by men and women, black and white, who were passionate and loyal to their cause. The lyrics commemorate the sacrifice and horrific bloodshed of soldiers on battlefields and ponder the changed lives of families with sons and fathers who would never return home. They examine what life may have been like as a slave and the challenging quest for freedom and equality. 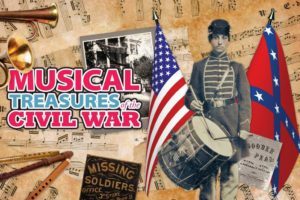 From the early tensions that led to the start of the Civil War to Lincoln’s Assassination just following the end of the war, music paints a vivid picture of what life was like and gives a voice to the people who lived during the Civil War. 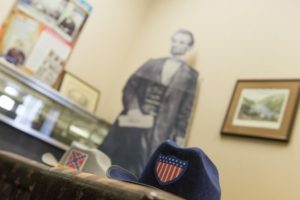 In this special interactive exhibit, you can experience the emotions of the times through Civil War Photography, Music and Traditional Instruments. 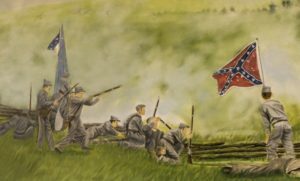 Love Civil War History? Interested in visiting Civil War Sites in Washington County? Check out the Washington County Convention and Visitor’s Page for a complete listing of local Civil War sites! Or visit the attractions listed below! Sometimes families were torn apart from the fighting.